Bishop McIntyre hands over the keys of the Parish Church to Fr. Redcay. St. Pat’s School Community is thrilled to welcome Fr. Redcay as the 7th pastor of St. Patrick Parish, Malvern, PA! Fr. 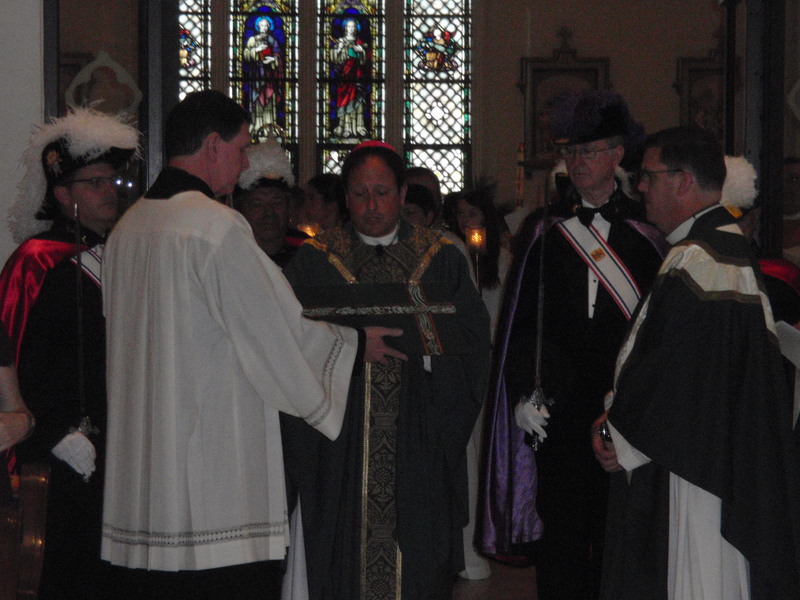 was installed on Saturday, July 16 at the 5pm mass by Bishop John J. McIntyre. The church was packed with a mix of St. Pat’s parishioners as well as many of Fr.’s friends and family. The choir sounded perfect and the Knights of Columbus added pomp and circumstance to the ceremony. Fr. Redcay comes to St. Pat’s with experience as an educator, administrator and pastor. He requested that he be sent to a parish with a school and we are thrilled to have him! We welcome Fr. and his family, and we look forward to many great years together! Father Redcay's brother and sister, Justin and Kim!